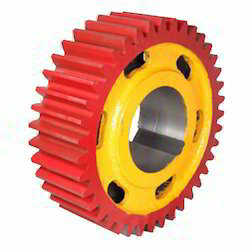 We are a leading Manufacturer of pinion stand (3hi), helical pinion, cast iron pinion, grinded gear and pinion and rolling mill pinion stand from Patiala, India. Under able guidance of our expert team, we are involved in manufacturing and exporting Pinion Stand across the world. We use modern technologies and machinery for the process of manufacturing our products. This product is compactly designed with fine surface bottom and the three adjustable screws, which enables the product more efficiently. It is widely applicable for small and large scale industries. Our product is rigid and available with us at a reasonable price. With its superior durability, sturdiness, dimensional accuracy and resistance to corrosion, the offered Helical Pinion is known to be one of the best options available in the market. Owing to its easy installation and maintenance, the offered range is widely acclaimed. In addition, our abidance of the industry norms, help us standardize quality. 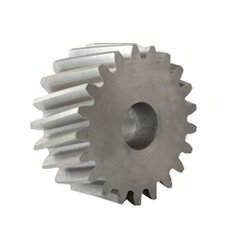 Being one of the leading manufacturers and suppliers of this range of Cast Iron Pinion, we engage in the utilization of high grade raw materials and modern machines. Owing to this, the offered product is known to have a superior sturdiness, durability and resistance to corrosion. Further, the offered range is priced at the most reasonable rate possible, making it highly asked for. 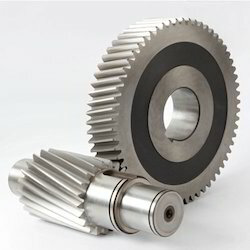 Priced at the most reasonable rate possible, the offered range of Grinded Gear and Pinion is known to have a high preference in the market. Manufactured in compliance with the set industry norms and guidelines, its quality never deteriorates. The finest raw materials applied in its making, gives the product superior sturdiness, durability, resistance to corrosion and dimensional accuracy. 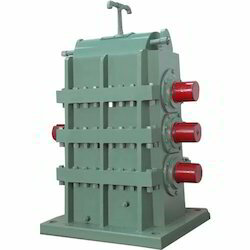 We are one of the leading manufacturers, suppliers and exporters of optimum quality Rolling Mill Pinion Stand. By using advanced machinery, our professionals manufacture these products in compliance with the industry set norms and regulations. 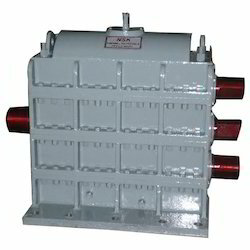 Owing to their resistance to corrosion and longer serving life, these products are highly demanded.